Organizations of all kinds are increasingly concerned with achieving and demonstrating sound performance by controlling their process, products and services. Therefore, managing all tasks and action plans of a company as one cohesive unit is a critical element in overall success, since it ensures visibility of the real status of its projects and processes. What? Subject matter What exactly do you need to do? Why? Purpose Why is this action critically important for achieving your vision? Why can’t you just skip it? Where? Location Where will the action take place? What are other locations involved? When? Sequence When to start (and end) this action? When do related actions need to be started and completed? Who? People Who is the best person to put in charge of this action? Who else is involved here? How? Method How exactly will this action be activated? How much? Cost How much will this attempt cost? 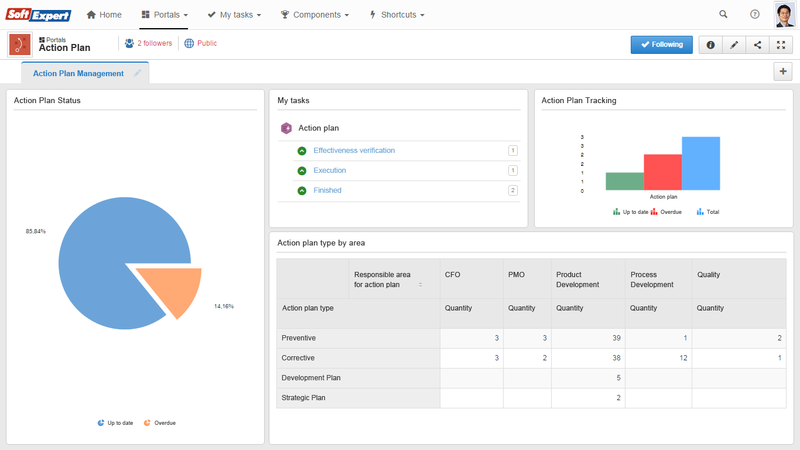 SoftExpert Action Plan is the best software when it comes to helping organizations effectively streamline the entire Action Plan lifecycle, from the initial record to approval, maintaining team communication and improving collaboration through the centralized control of the planning, execution and monitoring of tasks and action plans. The easy-to-use and flexible application improves task execution speed, reliability and efficiency. 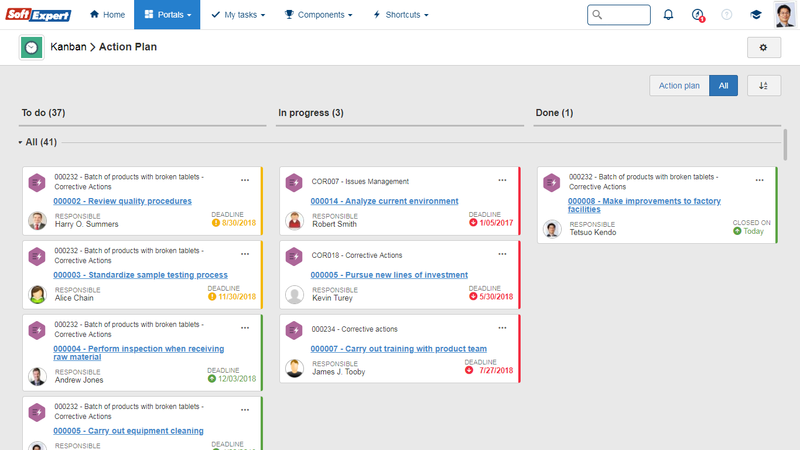 Custom fields, checklists, teams, responsibility routes, identification mask, activity and action plan categorization. Maintenance of actions and action plans in progress. Creation of one or more actions necessary to achieve a result. Action planning with 5W2H tool. 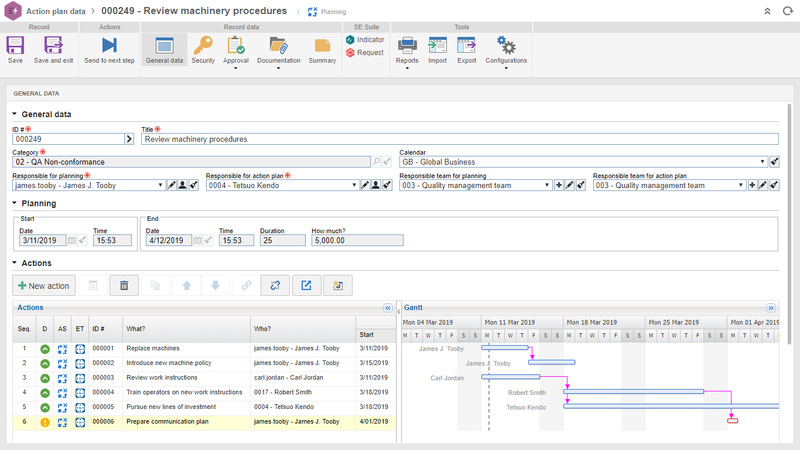 Gantt chart with activities dependency configuration for more accurate dates of execution. Creation of action plans from templates. Maintenance of the actions by those responsible for controlling the gaps between what was planned and executed. Charts and graphs: Gantt, bars, horizontal bars, Pareto and pizza. 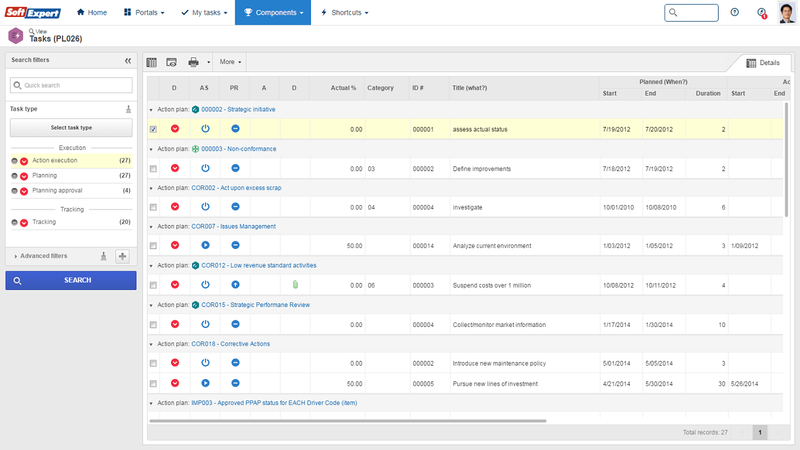 Custom reports and graphs through the interface with SoftExpert Analytics. This eBook will show how to get the true value that an EQMS promises by automating 13 quality processes. The difference between incidents and problems as well as the steps of proactively identifying and managing them.